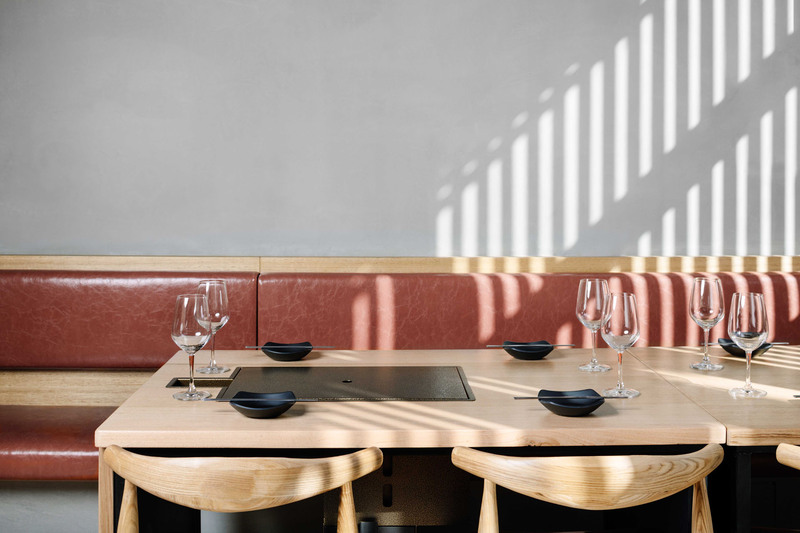 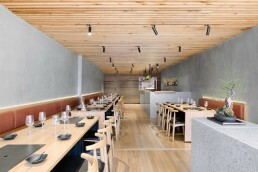 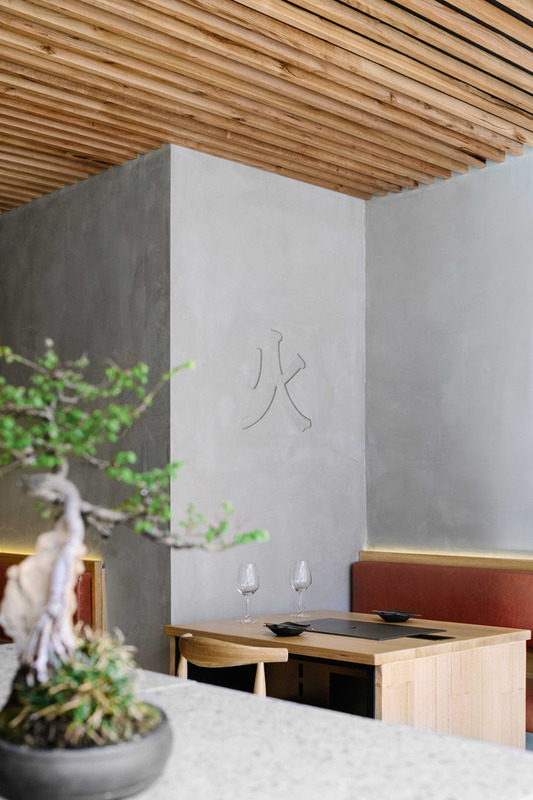 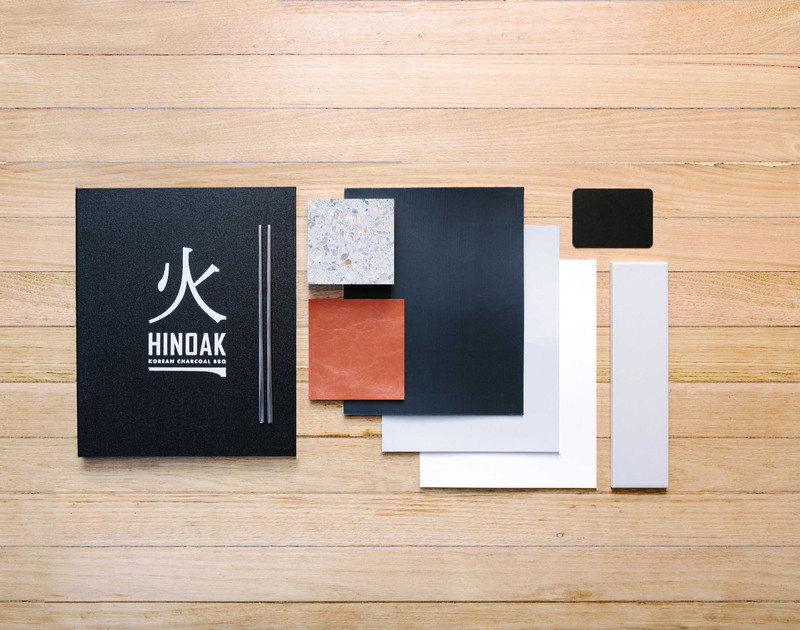 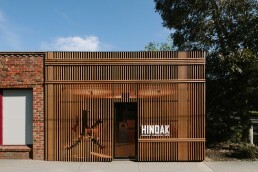 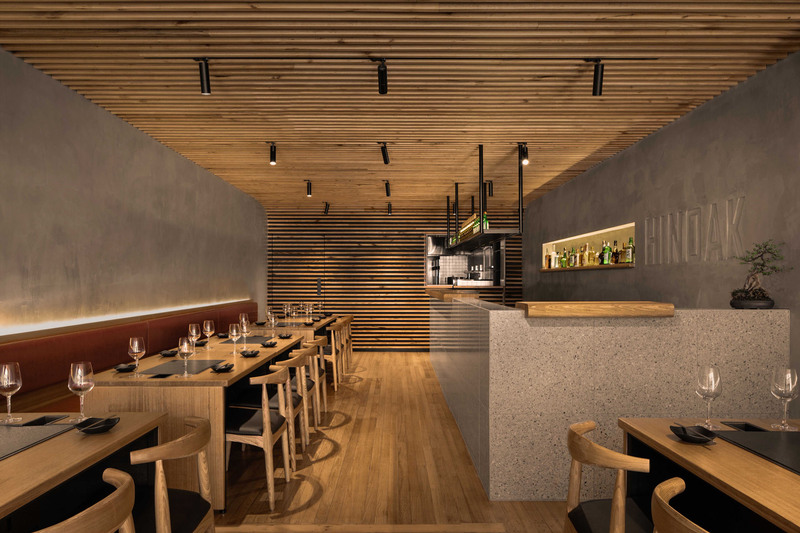 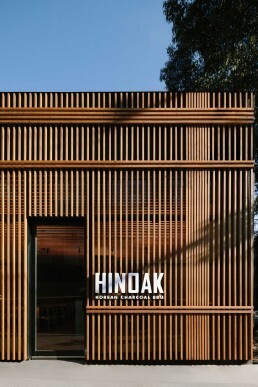 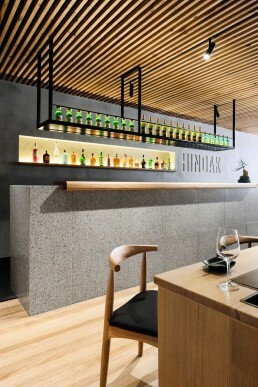 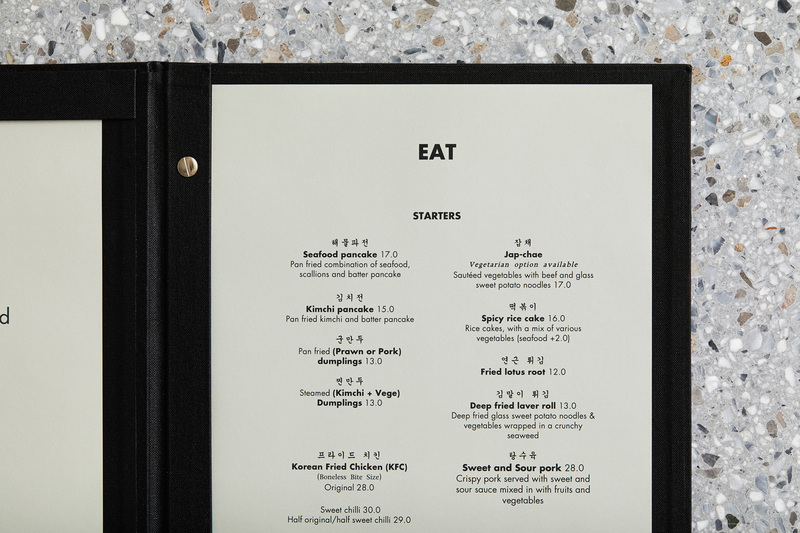 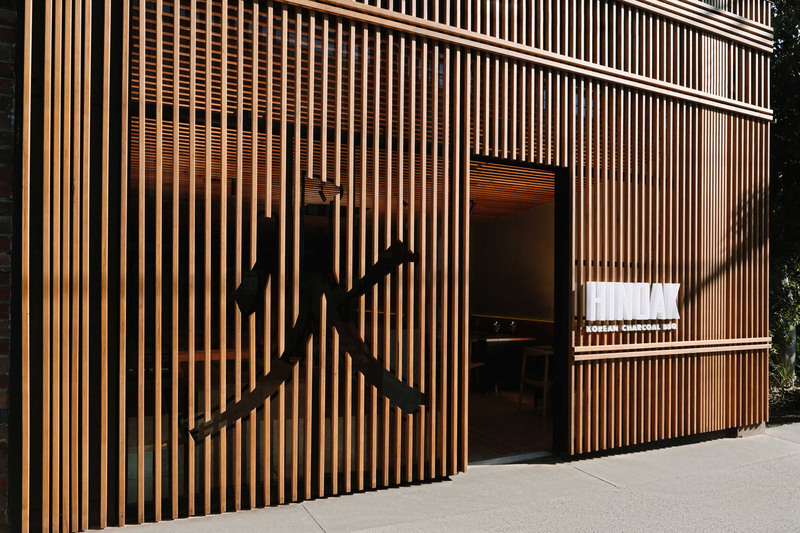 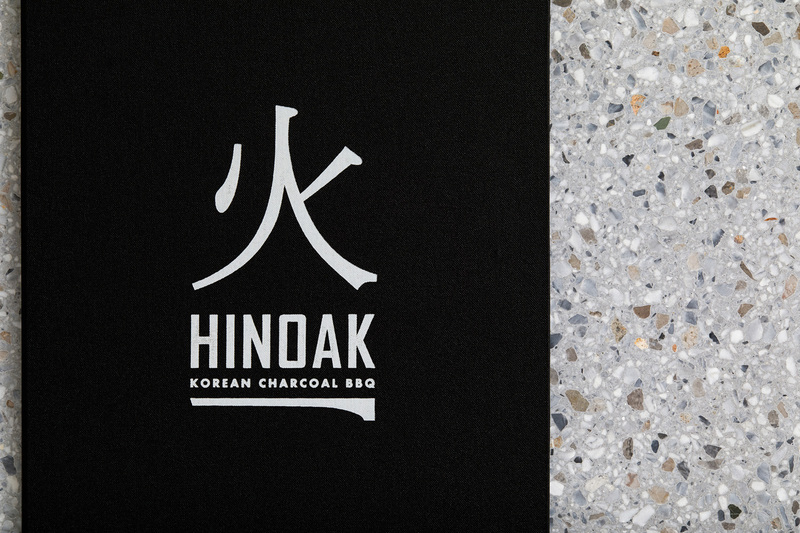 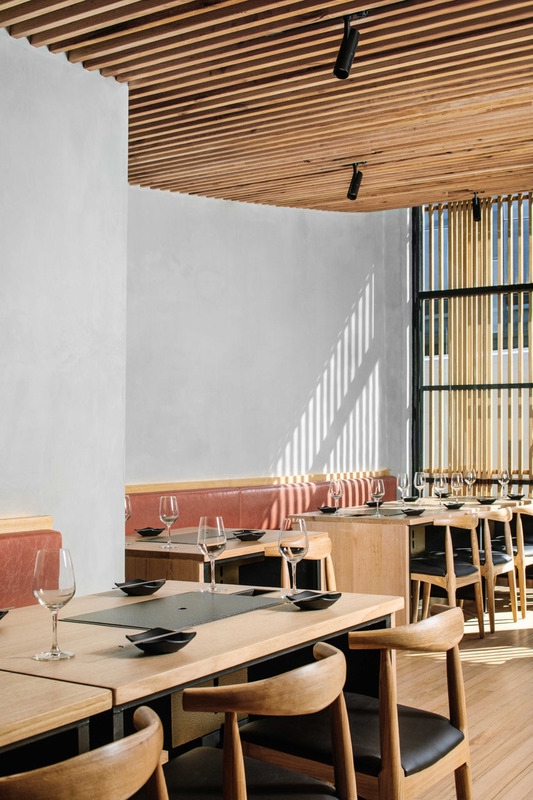 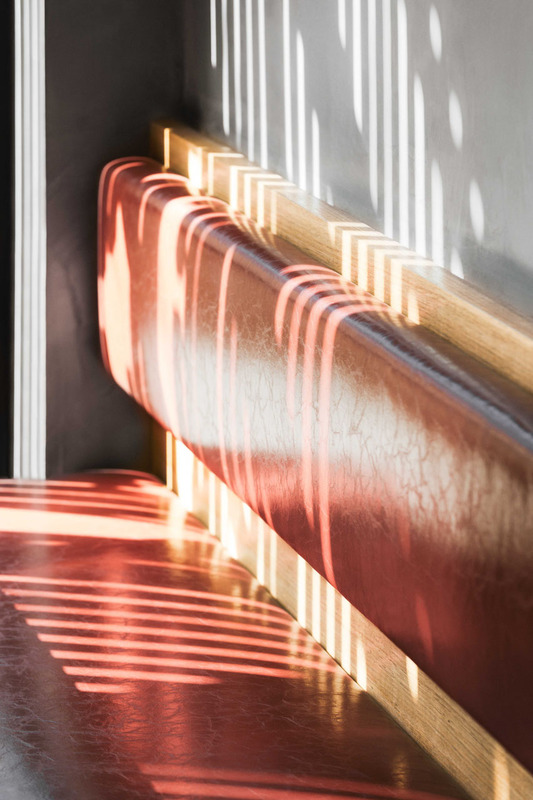 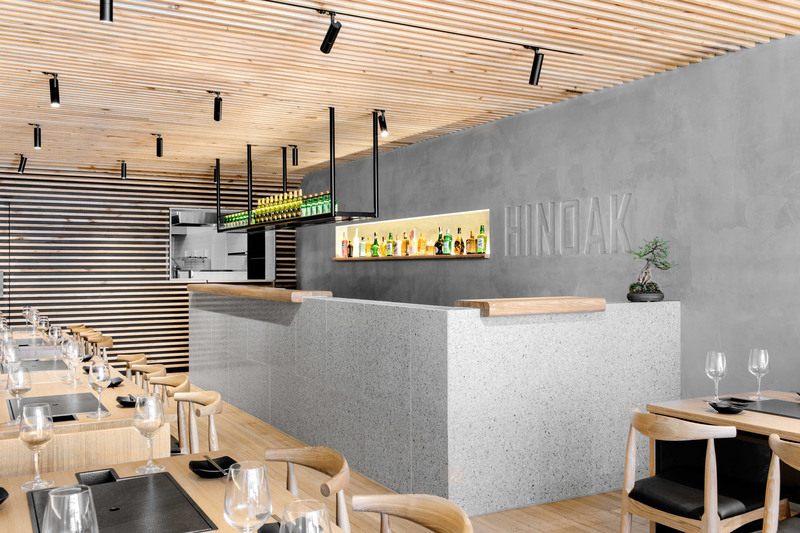 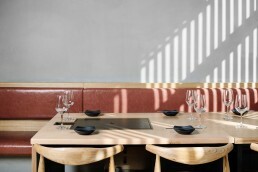 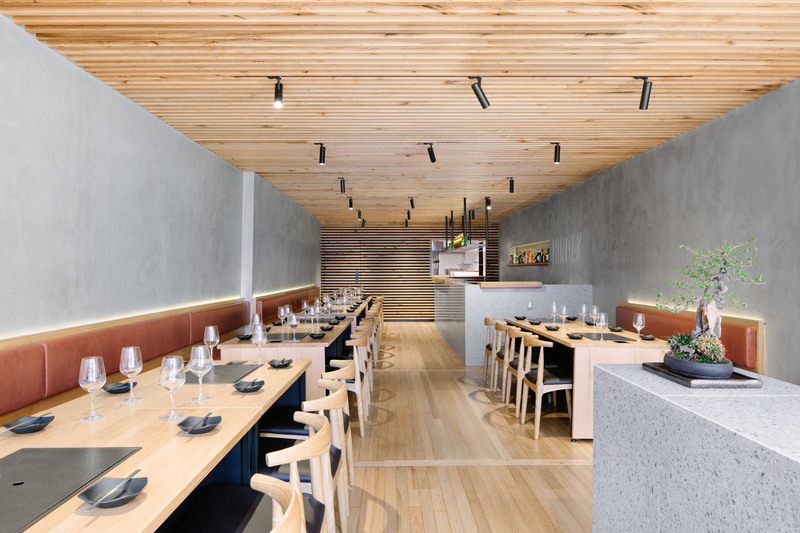 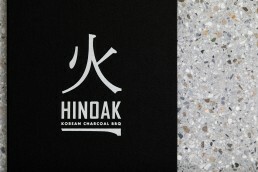 Craft, harmony and a delicate balance between built form and natural material underpin our concept for Hinoak, a traditional Korean barbecue in Melbourne’s south-east. Our design for the project focused on creating a warm, cosy and intimate space. 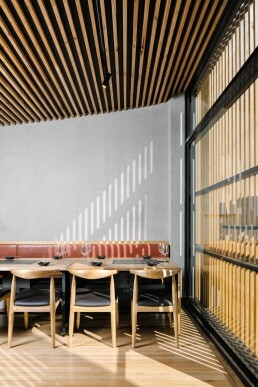 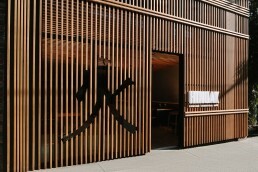 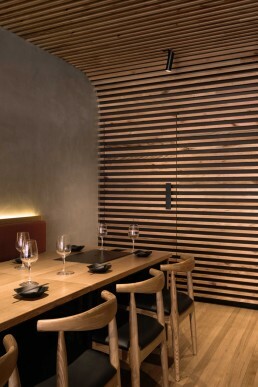 Spatially, the interior is structured by two banks of timber tables with integrated charcoal barbecues. 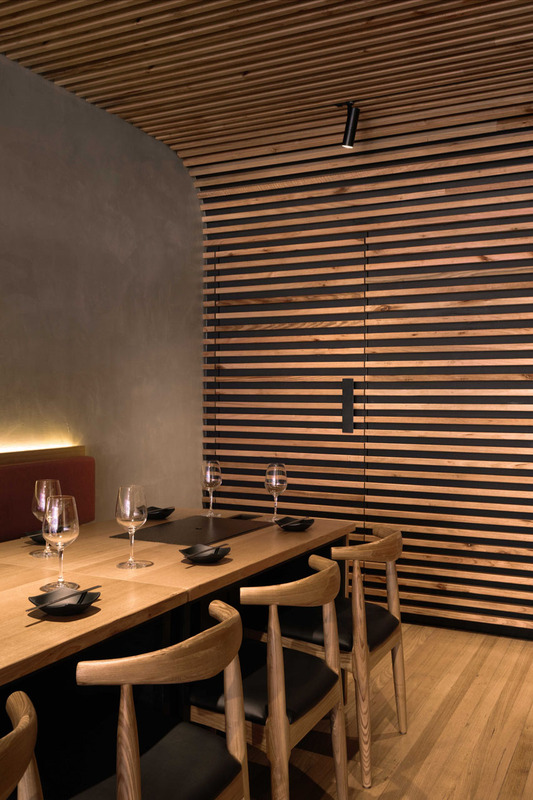 Specifying LED backlighting rather than pendants retains the sense of openness and visual connections throughout the space. 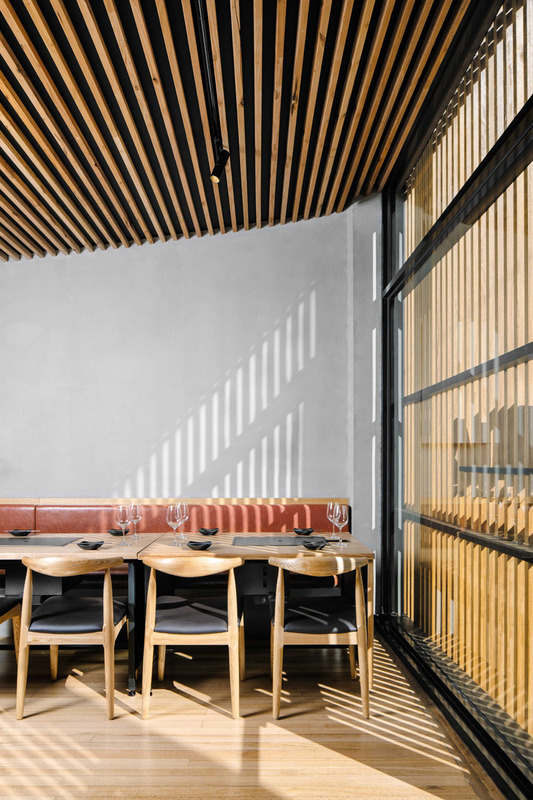 The striking timber-battened ceiling descends gently as it extends through the restaurant, curving into the rear wall alongside the terrazzo-clad bar. 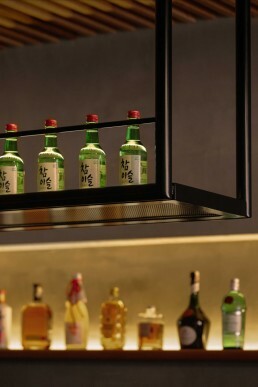 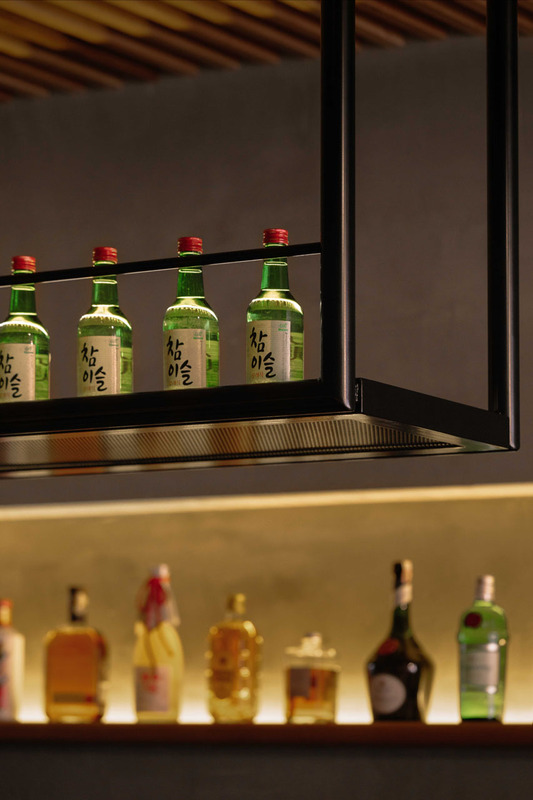 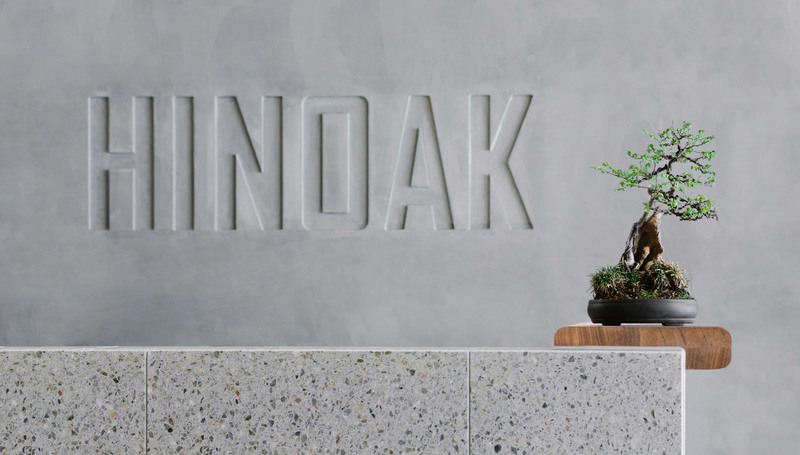 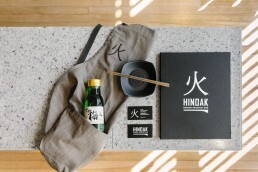 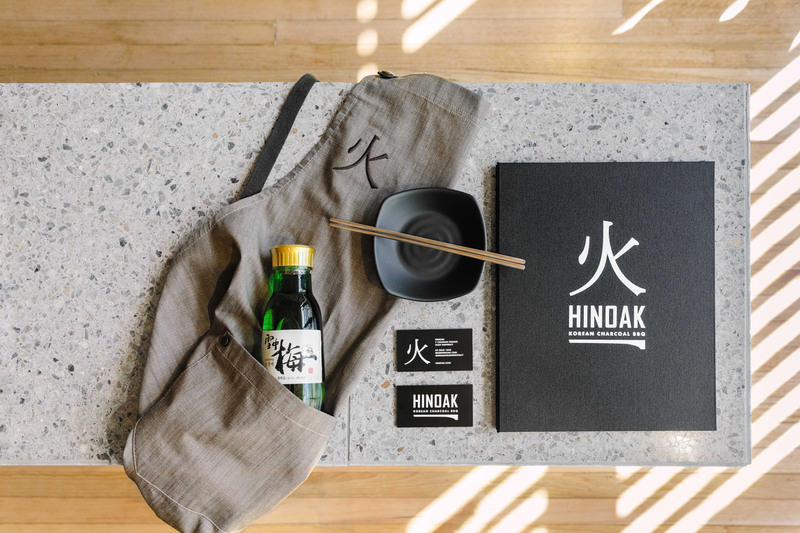 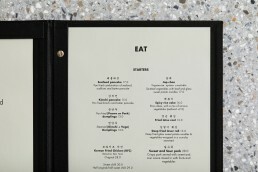 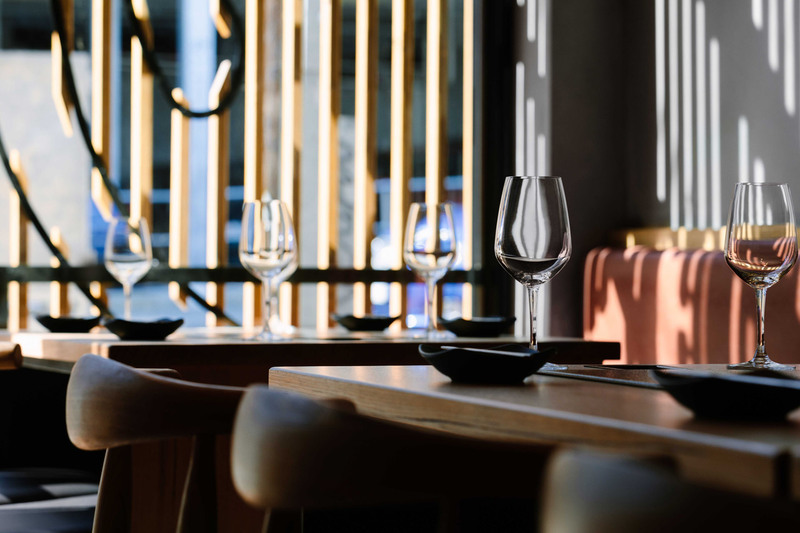 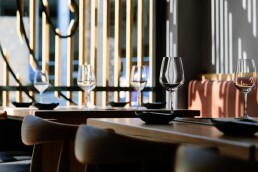 Combining Korean craft with new technology, Hinoak is a playful and carefully detailed experience modernised and evolving the much-loved dining tradition.